Credit reports are very important to the owner of the business and their business in itself. A credit cleanup can do wonders for your company because it shows that you or your company has a good credit report. Of course, you want to have a good credit score and excellent credit report in two cases. First, you will want to monitor your personal credit report. Secondly, you want to create an attractive credit score for your business too. But, nobody is perfect. Especially in business, there are unforeseen events or uncontrollable circumstances that cause us to fall behind a bit. Whether it is bad inventory, poor collections for payment or a downturn in the market, businesses and their owners can suffer from time to time. And, if you are a successful entrepreneur or business executive, you have probably stuck with it and fought through the downtime to get things back on track by bootstrapping business. You may be wondering why you should fix your credit score. After all, your day-to-day life may not be hampered by a poor credit score, if you are lucky. However, there are many reasons to pursue credit repair. In fact, such endeavors are absolutely imperative if you want to save money on loans, credit cards or even insurance policies. This way, you can instead put that money toward paying off your family business tax. Good credit scores can also help you land a better job or even get a promotion, since businesses frequently check job applicants’ credit ratings. Now, you should certainly understand the many benefits of repairing your credit. How Do You Fix Your Credit Score? Now that the company is doing well, how can you clean up your credit report, both personally and for the business? First of all, understand that collections accounts will stay on the report for seven years. But, do not worry. There are quite a few successful strategies on how to clean up your credit report and increase your credit scores overall. To get started, check your credit report at all three bureaus. 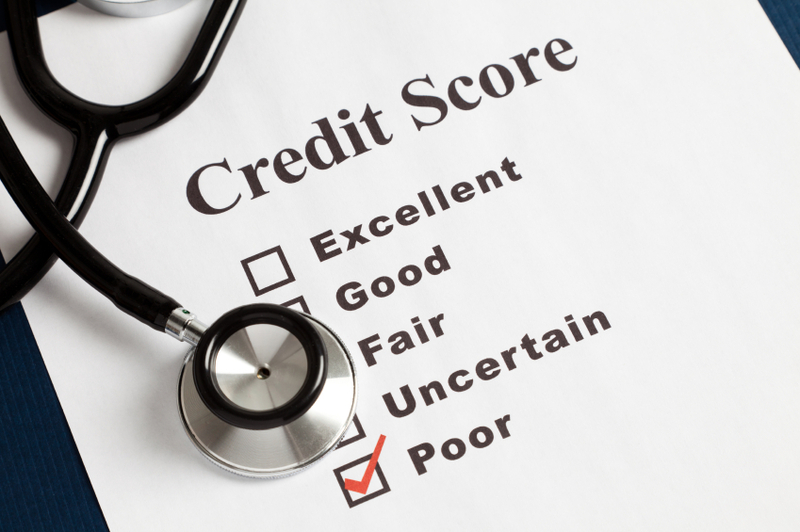 Although one credit report may look perfect, a second report could show that a error or payment has not been settled. While this may be a little costly for both you and the company, there are some free credit score options too. After checking for errors or unforeseen items on the report, identify the credit balances that you can pay off quickly. This will help you raise your credit score score by lowering the debt to yourself or the business. Next, take an account of all credits that are not on automatic billing cycles. These are the most likely payments to be defaulted and negatively impact your credit scores. Then, put them on auto pay as soon as possible to avoid any late payments. Finally, a clean credit report will help you gain access to funding and credit whenever you need it. If there is a downtime in business again, you will be able to overcome it. Or, when it is time to grow your business profits, you will have the credibility, literally, to get increased credit lines and business loans with low rates. Then, after you have fixed your credit their are some important practices that you need to know to ensure that you maintain a good credit score before you immediately go taking a business loan out and setting yourself back to square one. How do you maintain financial health? Utilizing too much credit will drag your credit score back into the ground. Make sure not to use too much credit on any one card. Spread your debt out over several cards, so that you keep your utilization percentage under at least thirty percent. Ideally if you can keep it even lower, do so. The less credit you use, the more your credit score will climb.